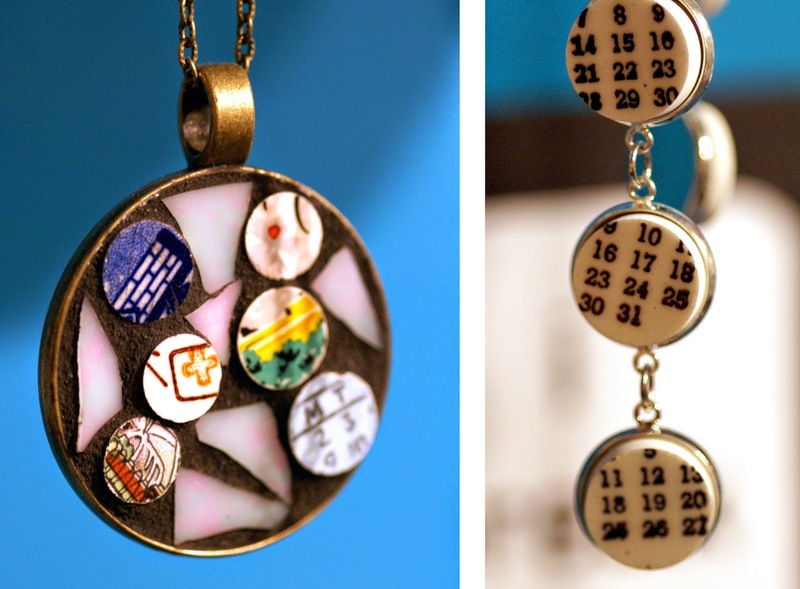 Breaking the Old to Create Art Jewelry that is Beautiful & New. 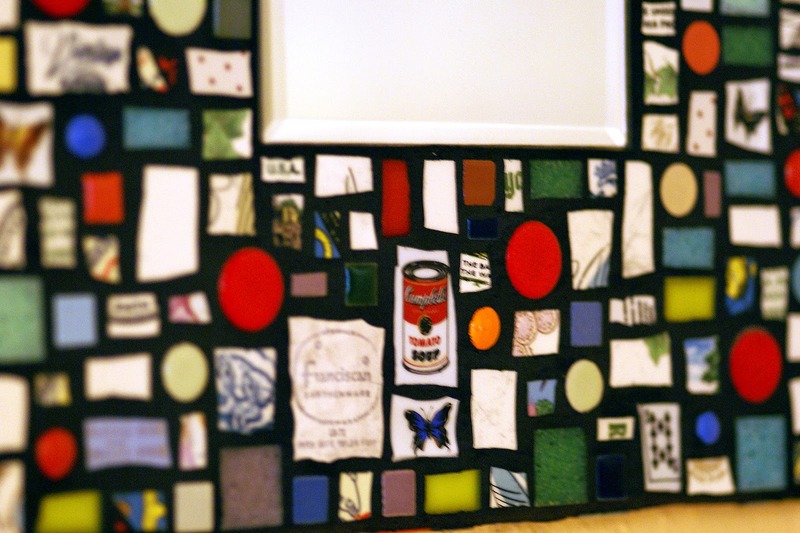 Pieces Made Out of Dishes that Served Memory-Making Meals. Mosaic artists have long been known for breaking tiles, glass and plates in order to put together polished, display worthy pieces. Each new work often carries with it old memories of what the individual elements were before, a solid foundation for it’s second life. That is, in fact, one of the most unique qualities of any upcylced craft, be it mosaic or other arts. 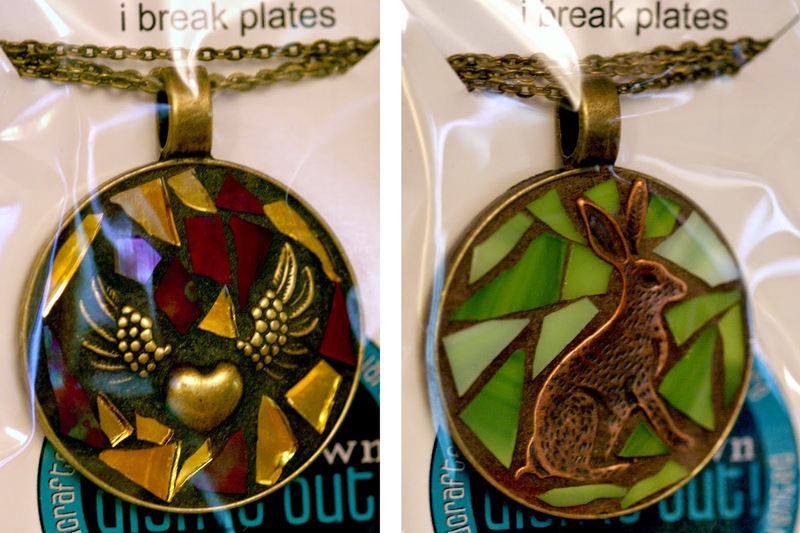 For Austin based Jewelry artist Holli Brown, there is so much more you can do with broken plates to preserve the old as something new. 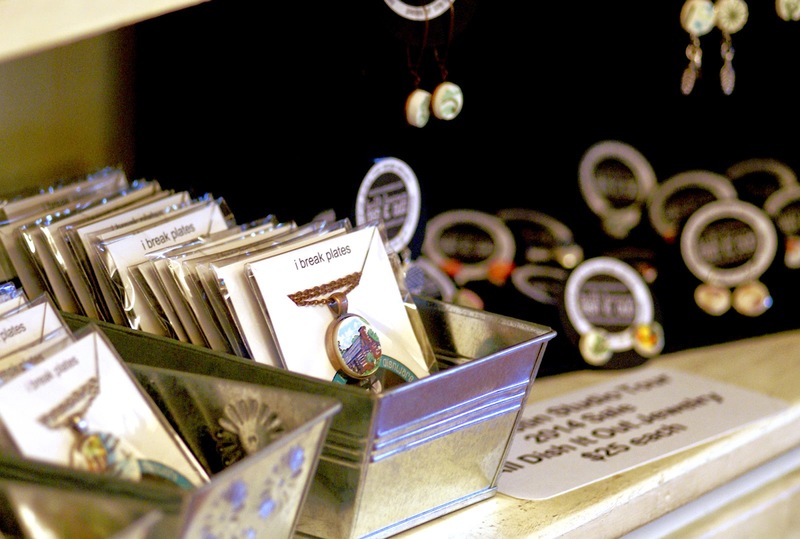 While she is quite skilled at mosaic, Holli’s passion is best expressed in jewelry: Earrings, Necklaces, Bracelets and more. She uses vintage plates, bowls and dishes as her inspiration, breaking them to pull out particular pieces of their design. These are then carefully crafted into wearable works of art. She loves the idea of carrying with you a piece of something that once brought family and friends together to share meals and memories. She hopes that the jewelry she makes will stir up memories in the wearer. Perhaps it is a pair of earrings with delicate flowers to remind you of your mother’s china. Then of course, for those of you who are well traveled, you may be more drawn to a pendant made with a bit of a map or scenery for the places you’ve visited. If you consider all of the designs that have been emblazoned on dish ware over the years, you would agree that the possibilities are endless. 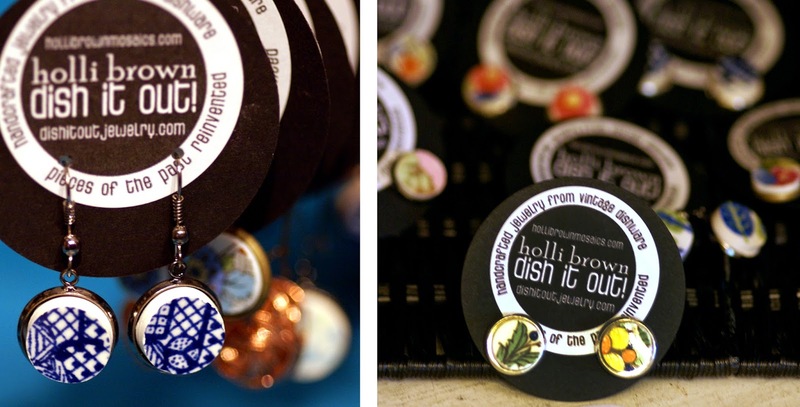 Holli is also happy to work with you on a custom order from your own dishes in need of reinvention. With her skill in jewelry making, you wouldn’t even know what came before. Broken is in the eye of the beholder!